If you cannot make it to a tropical paradise, we will bring it to you! 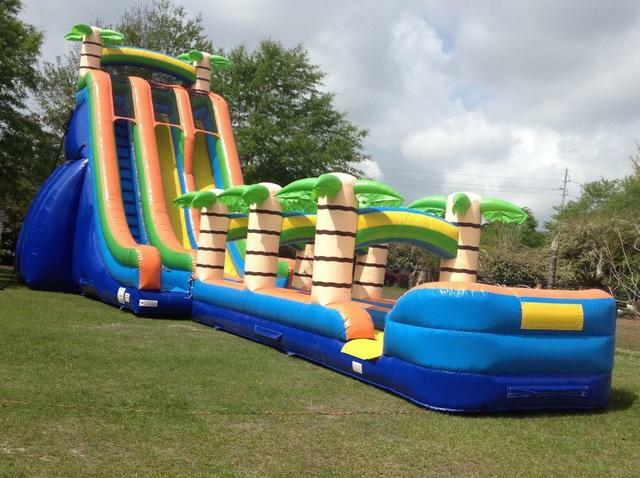 Our 27’ double lane Tropical Slide with a Slip n Slide attached. Enjoy the drop from the tropical slide then slide down the alley of the slip n slide, which gives you the best of both worlds. You would never guess that cooling off on a summer hot day could be this much fun! This is our steepest and biggest slide! !